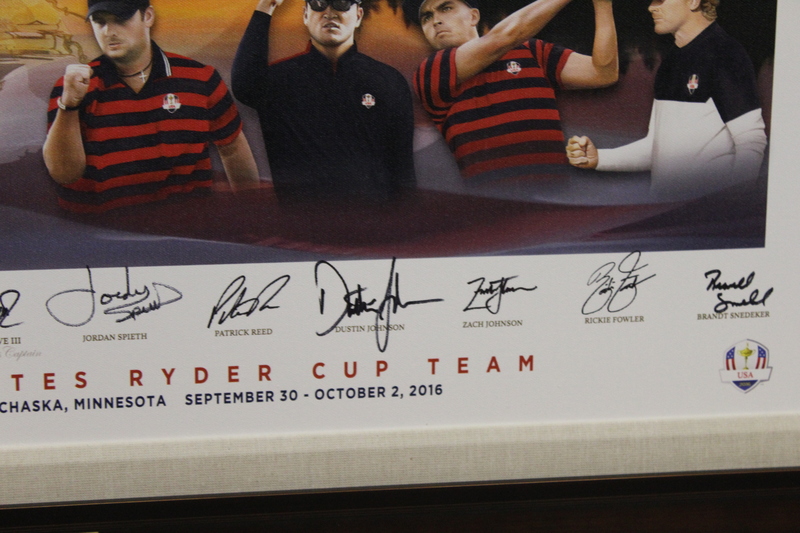 "Hello Raymond, While you were not able to be with us in Minneapolis for the 41st Ryder Cup, we hope that you will enjoy the enclosed framed US Ryder Cup Team poster with authentic signatures from the 2016 team and Captain. 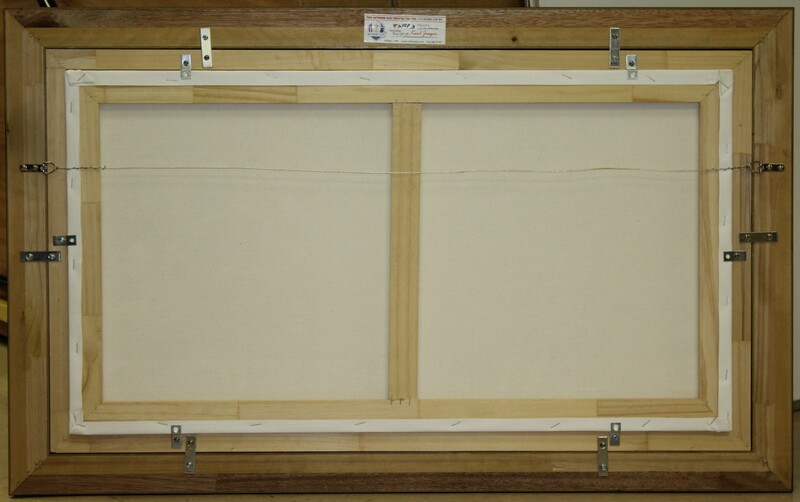 Here's hoping we will see you in Paris in 2018! Enjoy! 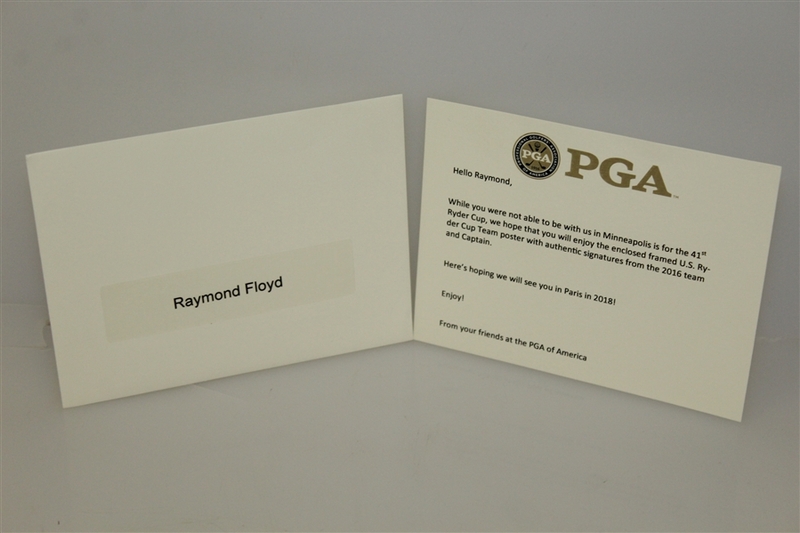 From your friends at the PGA of America". 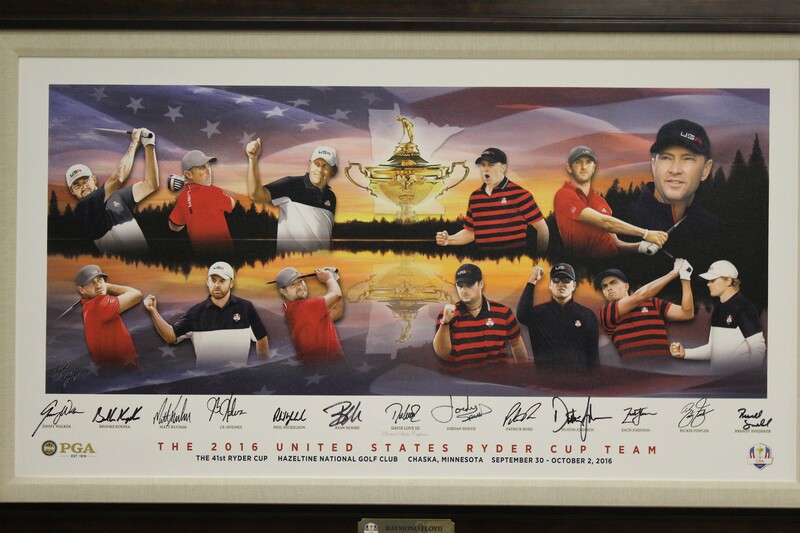 The United States won for the first time since 2008 at Valhalla, and featured the most lopsided American victory since a 9-point win in 1981 at Walton Heath. 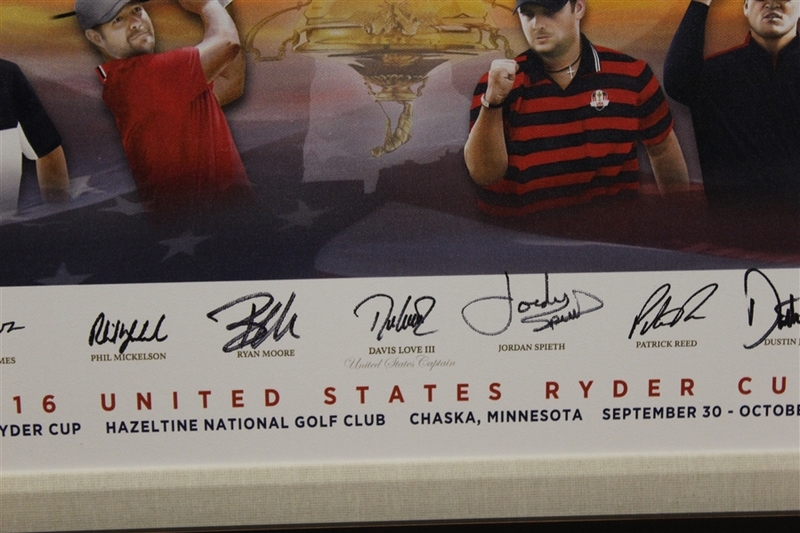 As in 2008, the U.S. never trailed during the matches contested at Hazeltine National G.C. 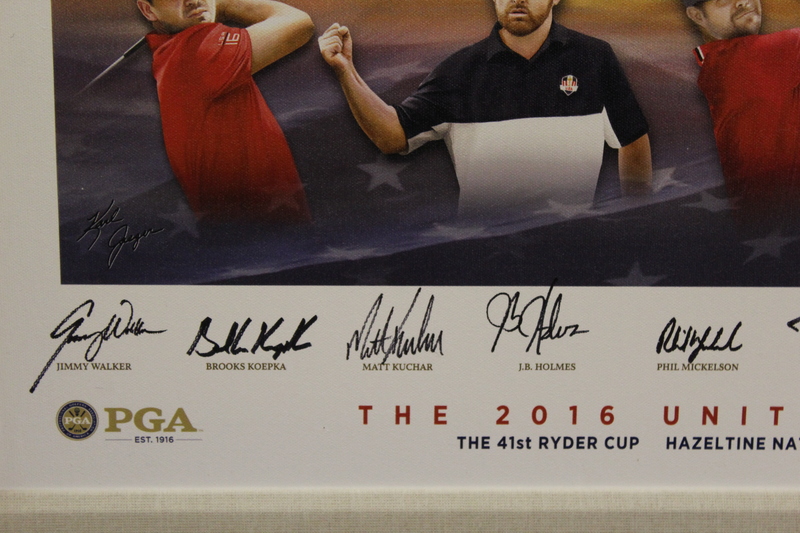 Ryan Moore was a one up winner over Lee Westwood to reclaim the Cup. 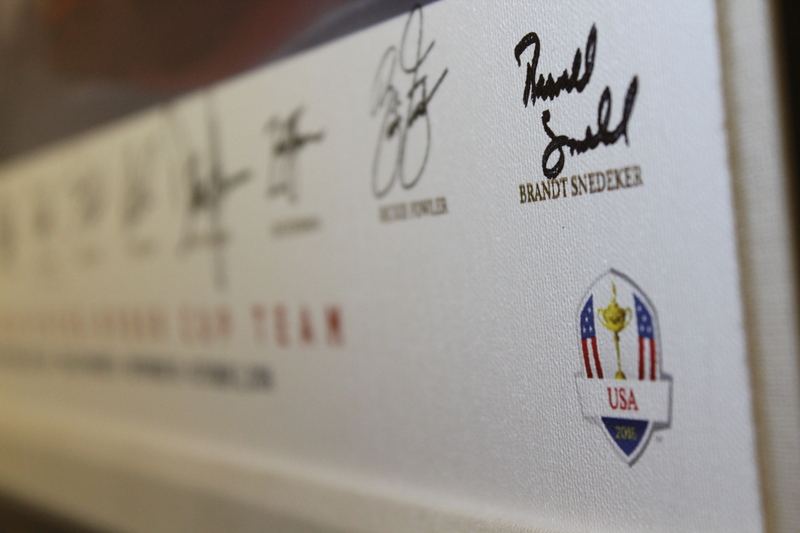 Captain Davis Love III dedicated the win to Arnold Palmer, who had passed that week. 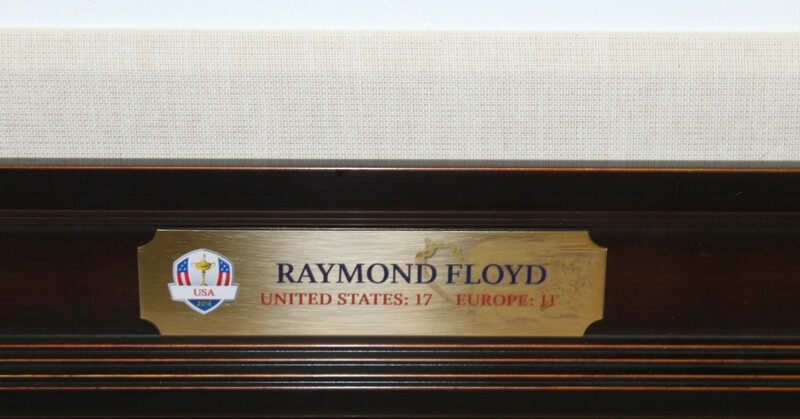 A bag from Palmer's captaincy in the 1975 Cup was placed on the first tee during Friday's opening foursomes to honor "The King", the motivated Team USA went on to sweep the opening foursomes that Friday morning for the first time since 1975 when Palmer had been captain. Two days after the matches, the majority of Team USA attended Palmer's public memorial in his hometown of Latrobe, Pennsylvania, and brought the Ryder Cup trophy at the request of Palmer's daughter Amy. 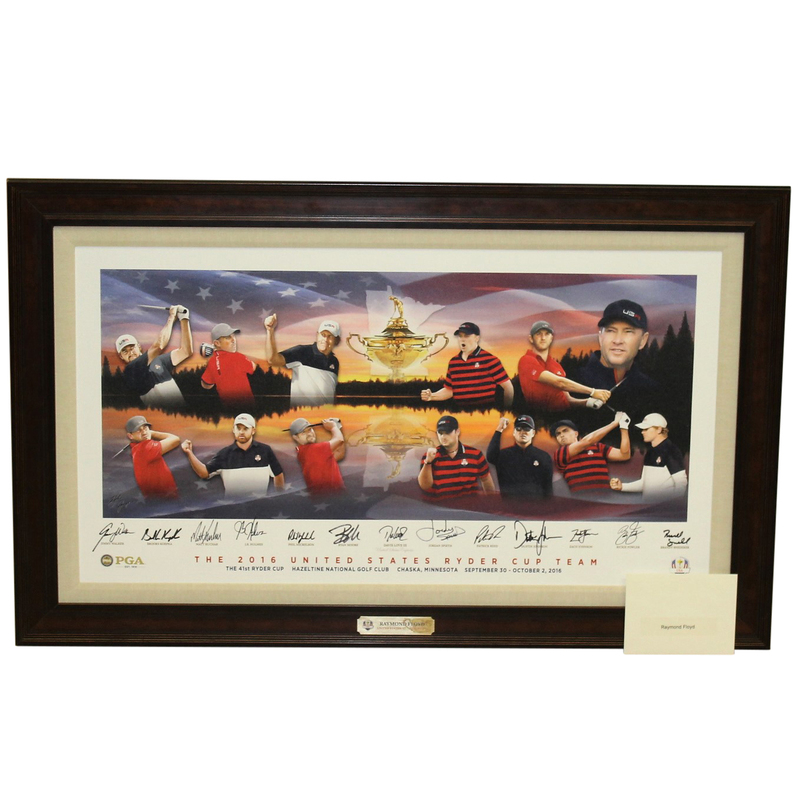 In tribute to that team and their victory in the 2016 Ryder Cup we offer this highlighted lot which depicts through in action artwork each of the USA team members and captain Davis Love III. Each of these members of the 2016 team has hand signed their signatures in black sharpie on the lower portion of this treasured collectible. This work can easily be the centerpiece of a room, and is certain to grow in popularity and value as the young stars of this team that included Brooks Koepka, Patrick Reed, Rickie Fowler, Dustin Johnson and Jordan Spieth continue to dominate on Tour. James Spence Authentication (JSA) has reviewed each of the signatures in this lot, and finds them to be hand signed with their authenticity paperwork coming to the winning bidder.